Our curriculum is rooted in the constructivist theory of knowledge and learning, multicultural and social justice education, and active problem solving and reflection. Students complete an urban as well as a suburban practicum and spend three full-days in the classroom in the fall and five full-days in the spring. This course will explore conceptual frameworks and content knowledge in social studies at the early / elementary level and the techniques of inquiry integral to the social sciences, i.e., interviews, survey, artifacts, original documents, and research groups. Students will engage in developing in-depth and connected knowledge and understandings structured around powerful ideas in the social sciences. Students will become familiar with national and state standards; competing ideas about the teaching of social studies, particularly at the Pre-K-6 level, will be discussed. This course is designed to support graduate level students, who are preparing for the role of teacher at the elementary education level, in acquiring an understanding of principles and practices underlying the creation of an inclusive learning environment for all students in the regular classroom. Adaptations to the curriculum and in the delivery of instruction which will enable all children, regardless of their learning strengths and needs, to reach their potential and achieve the goals and objectives as outlined with the general education curriculum, will be presented and discussed. Differentiation in content, process and product, based on students' readiness levels, learning profiles and interests will be modeled and analyzed in preparation for the planning of lessons and units, based on the principals of differentiated instruction. This course aims to provide readings, discussions, experiences and assignments that establish a broad and useful definition of literacy as well as practical experience in designing and implementing effective instruction. This course is designed to bring together graduate level pre-service K-12 teachers and special education professionals interested in examining the roles and responsibilities of all "stakeholders" in school mathematics reform. Specifically, the course will examine promising practices in teaching and assessing school mathematics as these relate to students constructing their own mathematical knowledge. The National Council of Teachers of Mathematics (NCTM) Curriculum and Evaluation Standards for School Mathematics, the NCTM Professional Standards for Teaching Mathematics, and the NCTM Assessment Standards for School Mathematics will be the lenses through which issues, trends and promising practices in teaching, assessing, and learning will be viewed. Assignments for this course will be differentiated according to certification interests. Course uses a constructivist approach to explore critical topics and methods in education that are directly linked to a practicum experience. Topics include: focused classroom and student observations; classroom management; Massachusetts Curriculum Frameworks; lesson planning and implementation; assessment practices; special education; and instructional technology. This course introduces and assesses the 11 Sheltered English Immersion (SEI) Standards fulfilling the SEI Endorsement requirement for teacher licensure in Massachusetts. Course content prepares PK-12 preservice teachers with the theoretical, cultural, political, linguistic, and instructional tools for effectively promoting the language development of English language learners. This course provides a survey of the relevant research literature describing not only cross cultural conceptions of childhood, but also contemporary U.S. contexts to reflect the intersections of culture and ideology and problematize what is legitimated as normal childhood. The course also provides training in research methodologies for doing qualitative work with children. A 16-week field experience under the tutelage of a cooperating teacher and University supervisor in an approved school system. We seek candidates who demonstrate initiative, highly effective interpersonal and communication skills, a passion for learning, and respect for diversity of children and families in public schools. Experience with children in educational environments is highly valued. Students must be able to balance intensive course work with significant time in the field. Interested individuals may apply online through the Graduate School by January 2 for fall admission. There is no spring admission to this program. A B.A. or B.S. with a major in the liberal arts, mathematics, or sciences. View the list of appropriate majors. A minimum undergraduate GPA. of 3.0. Please note that the average GPA of current elementary education students is 3.4. A passing score on the Communication and Literacy Skills portion of the Massachusetts Tests for Educator Licensure (MTEL). Please note that although passing scores on the remaining two MTELs – Foundations of Reading and General Curriculum – are not required for application to the program, these two MTELs must be passed by June 1 or students will not be eligible to enter the program in the fall. To meet this deadline, students are strongly encouraged to begin taking these final two tests during their junior year (see the MTEL guidelines for the Elementary Education Master’s Program). Evidence of, or a specific plan for, meeting the prerequisite knowledge base in mathematics with a grade of B or higher. At UMass Amherst, Math 113 and 114 (Mathematics for Elementary School Teachers) and Educ 463 (Principles and Methods of Teaching Mathematics) are the suggested courses to satisfy this requirement. Evidence of, or a specific plan for, meeting the prerequisite knowledge base in reading/writing methods with a grade of B or higher. At UMass Amherst, Educ 461 (Principles and Methods of Reading and Language Arts) and EDUC 482E Pre-Practicum satisfies this requirement. 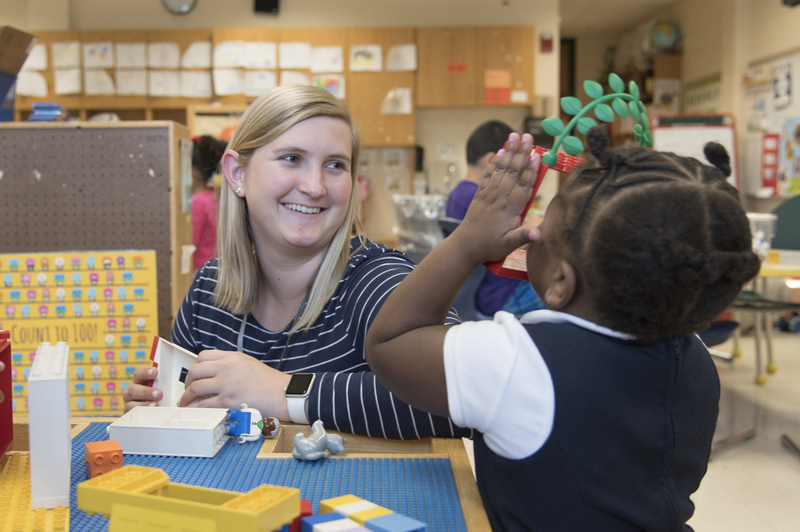 Elementary Education and the Minor in Education: While the Minor in Education is not required for application to the Elementary Education program, UMass undergraduates interested in applying are strongly encouraged to complete the minor. For more information on how the Minor in Education can help you prepare, please see the Elementary Education and Minor in Education guidelines. Experience with children in educational environments is highly valued. For questions about Elementary Education, or if you would like to make an advising appointment, please contact the Educator Information Office at (413) 545-2002 or eio@educ.umass.edu.